Instabill merchant account managers are more like consultants who guide merchants along the merchant account and confer on features. Mergers and monopolies. Paying for networks you don’t watch. Promises of better, more programming – but at what cost? Cable television costs go nowhere but higher and there isn’t an end in sight. That is why more consumers are turning to satellite TV, which offer a la carte packages and programming that consumers actually want. As more consumers are snubbing the cable TV giants and turning toward satellite TV, the demand for Satellite TV repair merchant accounts is higher than ever. credit card processing to company registrations; shopping cart integration to fraud protection services, virtually everything you need to get your satellite TV business up and running. Speak with a live merchant account representative online or by phone at 1-800-318-2713. With an Instabill satellite TV repair merchant account, merchants have the ability to accept major credit cards such as Visa, MasterCard, American Express and Discover, as well as Diner’s Club International, JCP and China Union Pay. Instabill also processes credit card payments in more than 160 currencies including Great Britain pounds, euros and many more. With a favorable credit history, Instabill can provide you with a virtual terminal, which enables merchants to accept payments over the phone and via mail. The application process for satellite TV repair merchant accounts is simple and free. Along with the complete application, Instabill also requires satellite TV repair merchants to provide several documents that are listed on our merchant account checklist. Instabill will use these documents as part of its underwriting process. The quicker you are able to provide the necessary documents, the faster your approval will be. Why is Satellite TV Repair Considered a High Rick Industry? Instabill has been providing high risk merchant accounts since 2001. 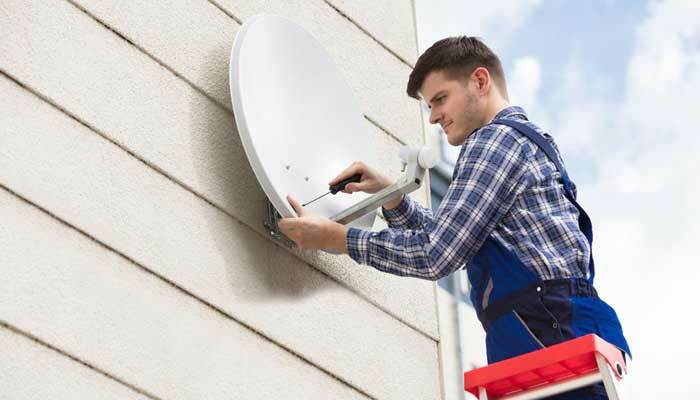 Satellite TV repair is a subscription-based service with warranty incentives for consumer purchase. Consumers are known to cancel subscriptions at a moment’s notice and change their minds regarding warranties. Both cases result in chargebacks and high chargeback rates can make a business type high risk in the eyes of banks. Part of Instabill’s credit card processing services include education in prevention of chargebacks. Not only do we assist in monitoring for fraudulent transactions, but we also educate you in preventing fraudulent transactions as well as chargebacks. From red flag signs of fraud to the best business practices, you will soon become an expert in keeping your chargeback ratio low. Learn how to prevent chargebacks here. Chargebacks happen, however. If and when you do encounter a chargeback, our risk management department will notify you and help you dispute the transaction. We will explain the reversal process and tell you what documents you will need to submit. Learn how to fight chargebacks here. Instabill’s highly experienced team of merchant account experts is ready to accept your satellite TV repair merchant account today. Our merchant account managers are here for consultation during the review process, and they are committed to working with you for the life of your merchant account. To learn more, get a free quote, or apply today, simply reach out to us via the live chat function at the bottom of your screen. You can also call 1-800-318-2713 to speak with a live representative today.